There are lots of delicious things you can do with leftover turkey. 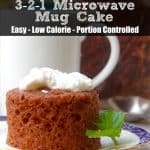 You can use it to make turkey sandwiches, salads, and casseroles or to top pizzas or fill quesadillas. 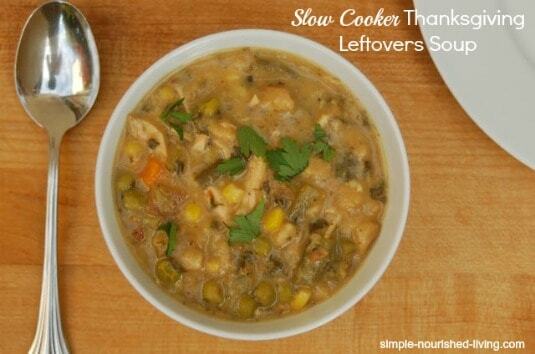 Anything you might do with leftover chicken can be substituted with turkey. But my favorite thing to make with leftover turkey is a big pot of turkey soup – especially turkey noodle soup. The best tasting soup is made with homemade stock from the bones of your leftover turkey carcass, along with a chopped onion, carrot and couple stalks of celery. Just put everything in a large soup pot along with enough fresh water to cover everything up. 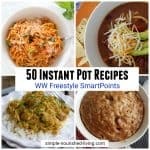 Heat to boiling and then lower the heat to a simmer. 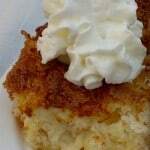 Skim off any foam that comes to the surface and then partially cover and let simmer for several hours. If you want, you can add some herbs such thyme, parsley or bay leaf after skimming. Then carefully strain the stock through a fine strainer (affiliate link) and discard the solids. You don’t really need a recipe to make homemade stock or broth. Just use what you have. 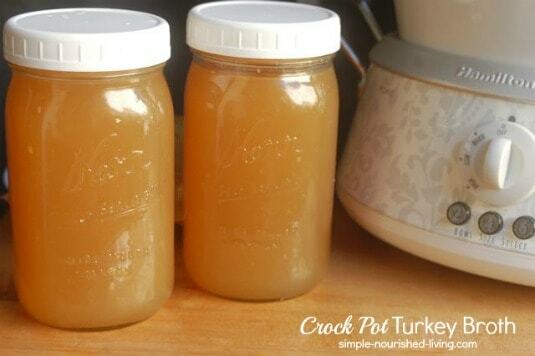 But if you’re more comfortable following a recipe, here’s a more detailed recipe for making homemade turkey broth in your crock pot. And of course, you can skip the stock making step altogether and use boxed broth instead! Here’s my recipe for a simple soup using leftover turkey. It’s essentially the same as the one I use for chicken noodle soup. This time, I added a couple handfuls of frozen peas near the end to give it a dash of color. 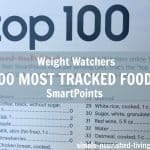 According to my calculations, each 1-cup serving has 197 calories, *4 Weight Watchers PointsPlus, *1 WW Freestyle SmartPoint. Enjoy! 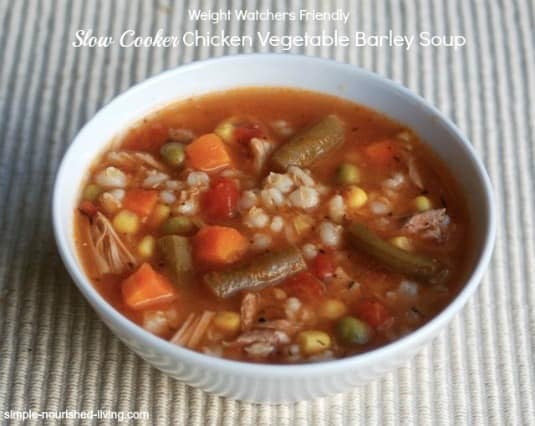 Turkey Rice Soup: Substitute 1/2 cup regular long grain white rice for the uncooked noodles. Add the rice with the vegetables. cover and simmer about until rice is tender, about 15 minutes. Stir in the turkey and heat until it’s hot. Turkey Noodle Vegetable Soup: Add 1/2 cup each frozen peas and corn or 1 cup frozen mixed vegetables with noodles and turkey. 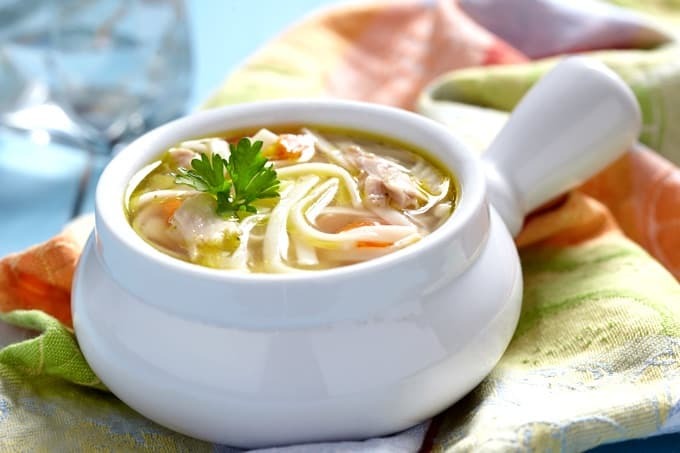 If you’ve made this Leftover Turkey Noodle Soup, please give the recipe a star rating below and leave a comment letting me know how you liked it. 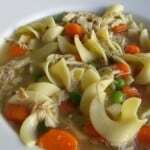 A simple low calorie recipe for leftover turkey noodle soup with several delicious variations. 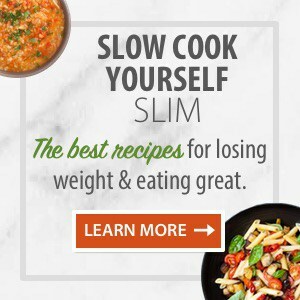 Of course, you can always use chicken instead. In a large soup pot or Dutch oven, heat turkey stock, water, carrots, celery and onion to boiling. Lower heat, cover and simmer until carrots are tender, about 15 minutes. Stir in the noodles and turkey and bring to a boil. Lower heat and simmer, uncovered until noodles are tender, about 8 minutes. Season to taste with salt and pepper. Sprinkle with parsley if desired. 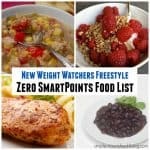 I intend to try them all in the coming months, since soup is one of my favorite foods for eating well and staying slim. 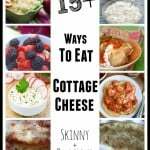 Most are broth-based, but I had to include a creamy one with wild rice since it’s a family favorite. And remember, you could always substitute leftover turkey for any soup recipe calling for chicken. 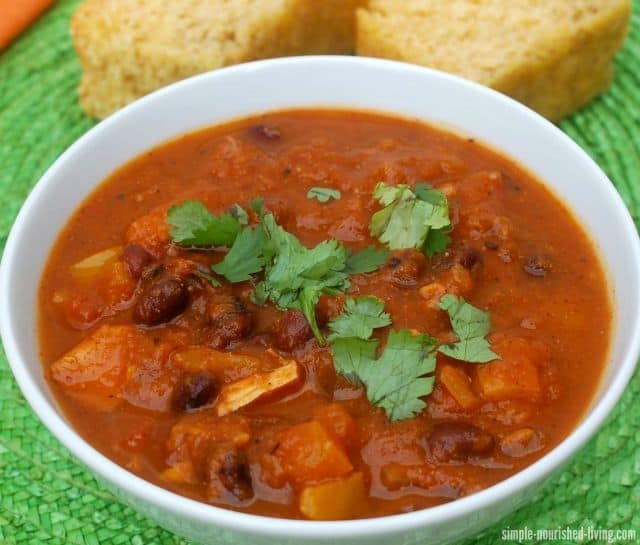 A simple, healthy and deliciously satisfying soup I like to make with leftover Thanksgiving turkey. It’s equally delicious when made with leftover rotisserie chicken. 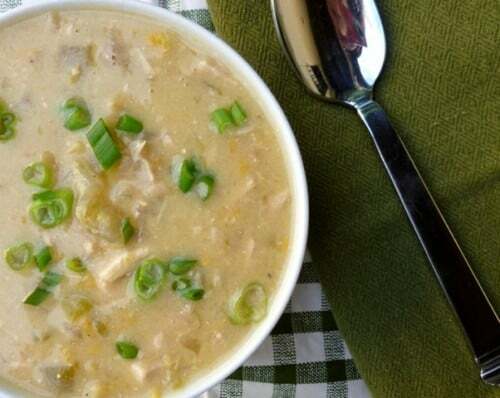 Creamy, delicious, light and nutritious, this slow cooker turkey green chili chowder recipe is a real keeper. Healthy comfort food in a bowl. It may not be the prettiest soup ever, but we all thought it was pretty darned good. Hearty and delicious. 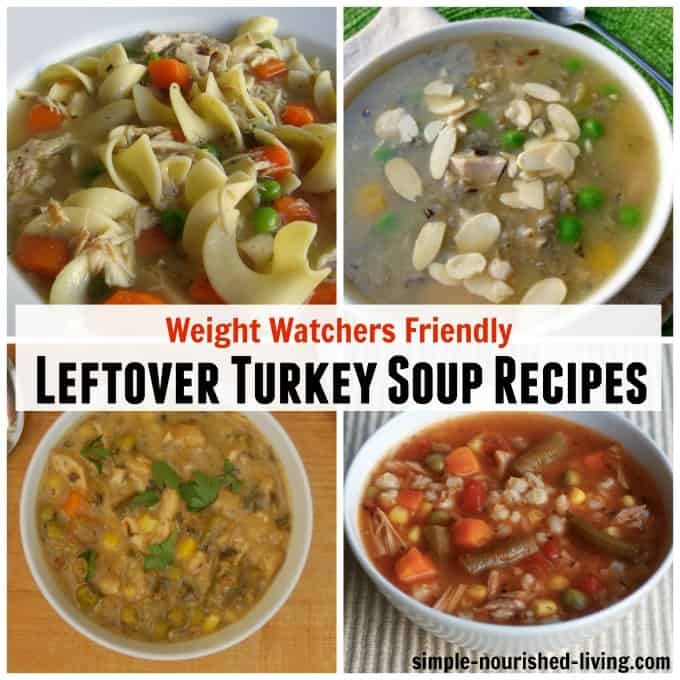 A yummy southwest style turkey soup that’s ready in less than 30 minutes with 250 calories and 6 Weight Watchers PointsPlus Values from Betty Crocker. This is a healthier twist on a classic creamy turkey and wild rice soup that hails from Minnesota (Eating Well). 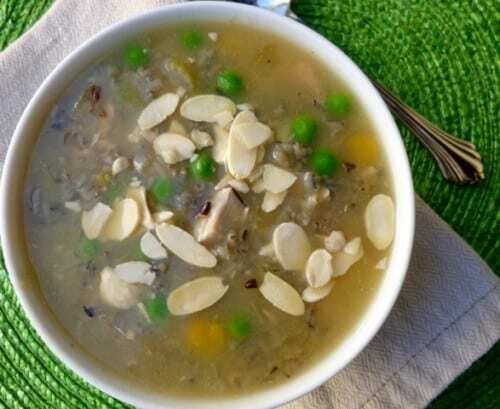 This slow cooker wild rice soup may not win any beauty contests, but it is an easy, healthy and deliciously satisfying one-pot meal, perfect in cold weather. 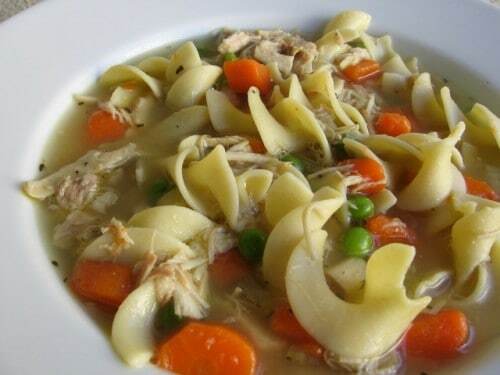 Do you have a favorite turkey soup recipe to share?